When we think of a construction product, we start out with an image of an architect creating the design for a building that fulfills the purpose for which it was intended. Our next scene tends to be that of the construction site: heavy machinery and workers in hard hats, laboring in a noisy setting. Finally, we see the building rising where once there was nothing. It all seems so easy. The truth is that a building is a much more complicated enterprise and every detail must be considered before the architect even begins to create the model. 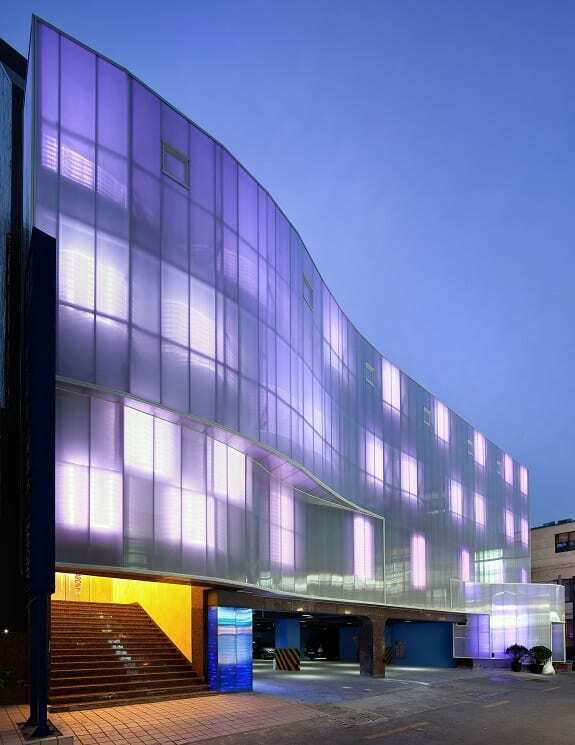 That’s one of the reasons why Danpal’s translucent facade exteriors are the smart choice for a building. Danpal has already done a lot of the preliminary work because the company’s research has created products that are specifically manufactured for particular needs. A building, before a single nail is hammered into place, has a location. If that location is in a rainy climate, the building material must be watertight to prevent leaks. If the building is going up in a landscape that’s prone to high winds, the structure must be able to absorb the impact. Lots of sunlight can be just as powerful a foe to a building as the rain, and we haven’t even mentioned snow or hail yet. But you get the idea. The architect isn’t the first one on the scene when it comes to designing a building. Danpal is, because their expert engineers and specialists have already researched and vetted the materials that will be chosen for construction. You’ve heard people say that there’s no use complaining about the weather because there’s nothing we can do about it. While it’s true that no one can stop the rain from falling or tame a wild wind, there are ways to defend a building so that it can withstand weather. 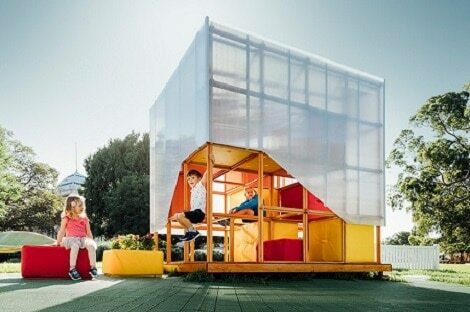 There’s weather, and then there’s Danpal weather-resistant translucent facade. Danpal’s translucent facades won’t fail you because Danpal’s reputation is built upon producing materials that last for decades. 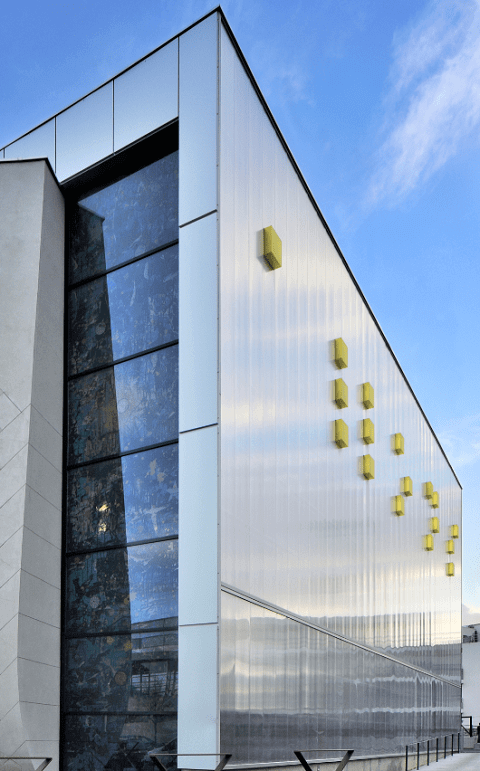 You won’t have to worry about cracks, scuffs and breaks showing up a few years after the building is completed because Danpal translucent facades are durable. Weather can’t be altered, but translucent facades don’t surrender to it. Danpal delivers the strength. 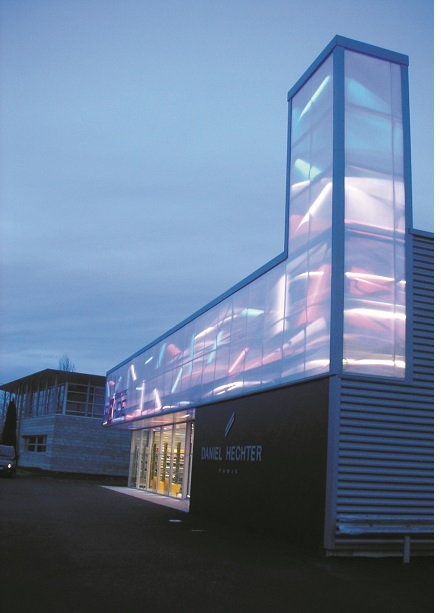 Danpal also delivers translucent facades that are nimble enough to allow freedom when meeting the design specifications. Danpal has managed to achieve that exquisite balance between strength and flexibility thanks to the translucent facades that deliver the best of both worlds. 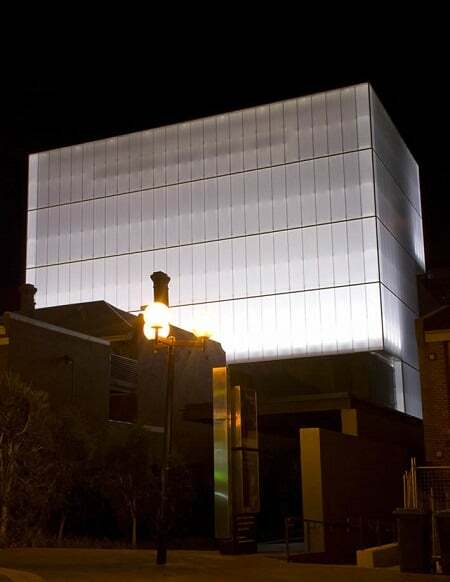 Last, but certainly not least, the esthetics of translucent façade blend the strength of the exterior with the flexibility to create a final effect that makes a building worth looking at. It lasts a long time because Danpal’s products are designed for long-term effectiveness. 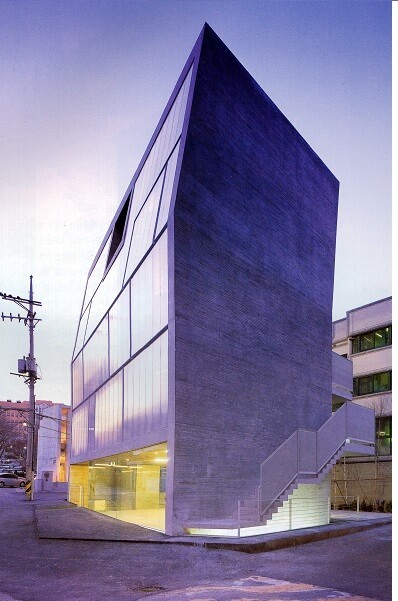 It’s flexible because the ease of installation shapes the façade to match the esthetic preferences of the client. 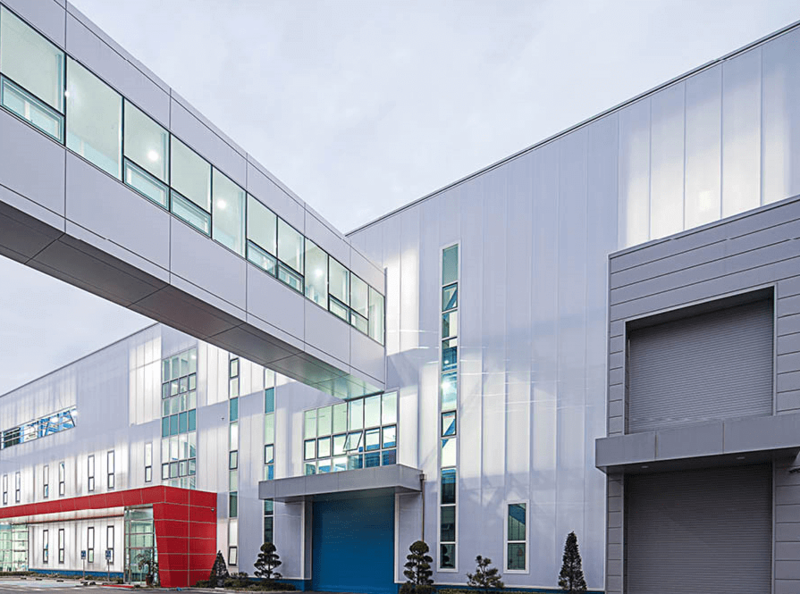 Protection and beauty all in one eye-catching, enduring exterior; that’s what you get when you choose translucent facade for your building project. Take a look around at the buildings in your city or town. Notice anything? You probably can’t detect the slow, steady damage that weather is causing to the buildings that we see every day. There’s no way to shield a building from the effects of the sun, the rain, or the wind. Buildings are located outside; that means that they have to expect to take the punishment that weather dishes out. But that doesn’t mean that nature has the upper hand. Translucent facades are the expert way to answer the challenge that nature poses and deliver a building product that endures. 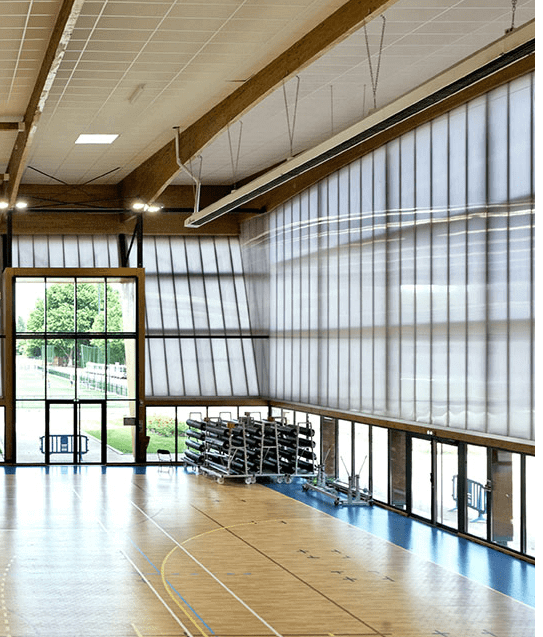 Not only that, but translucent facades know how to make the most of the daylight, bringing the best of the day into the building while shielding those inside from its negative effects. 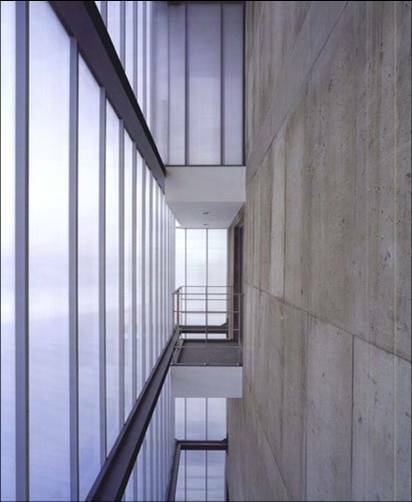 A translucent façade creates a seal so that water and air can’t penetrate. 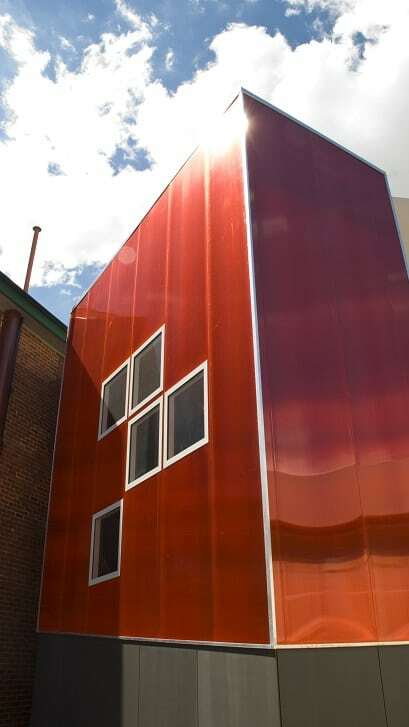 The façade’s durability makes it strong enough to withstand the punishing impact of hail and anything else that nature sends its way. Its flexibility with regard to the changing temperature of a building allow the translucent façade to expand in the heat and contract in the cold. 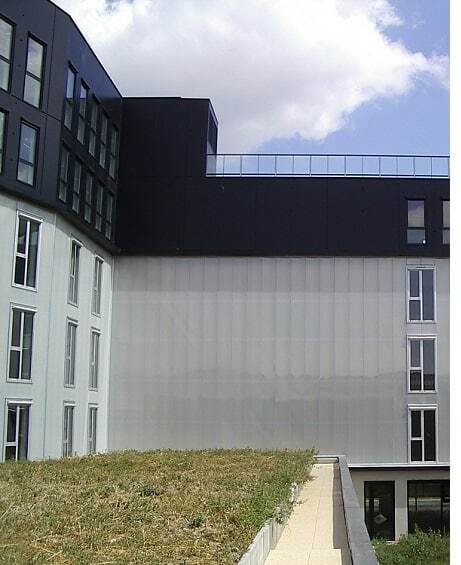 Now that we’ve told you how translucent facades protect a building from the harmful effects of nature, let us explain to you how our product can actually work with and enhance the natural environment. The benefits of sunlight are familiar to all of us. Not only does capitalizing on the natural light ease energy costs in buildings, but there’s a more personal benefit as well. 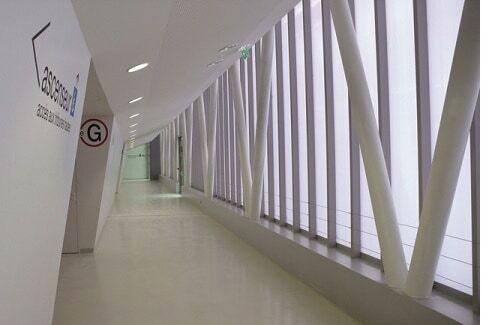 Incorporating light into public buildings helps to create a positive atmosphere on the people within as they work, conduct their business, and interact with one another. A translucent façade uses daylight as one of its core building materials. 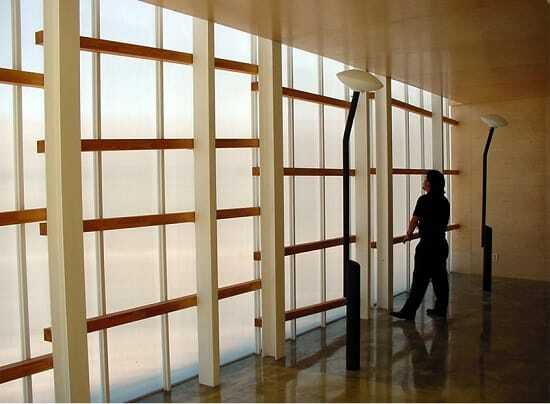 Glass windows, although they allow daylight to enter, also let in the glare. Depending on the time of the day, often at daybreak or at dusk, the lower angles of the sun’s rays can be piercing in rooms where the windows face east or west. That’s why large glass windows on one side of a room aren’t the solution. Flooding the space with uncontrolled bright light increases the level of heat in the room as well. Glass windows need blinds, shades, or curtains in order to minimize the adverse effects of the light; the result is often a room that’s much darker than it needs to be in order to reduce the penetrating glare from outside. There’s a cost factor to this as well, especially in warmer climates where the reduction in energy expense is cancelled by the air conditioning that’s needed to compensate for the excessive solar gain. Ironically, even in the winter, glass fails to offer satisfaction in energy efficiency, because the heat that comes in from outside during the day also escapes during the night. 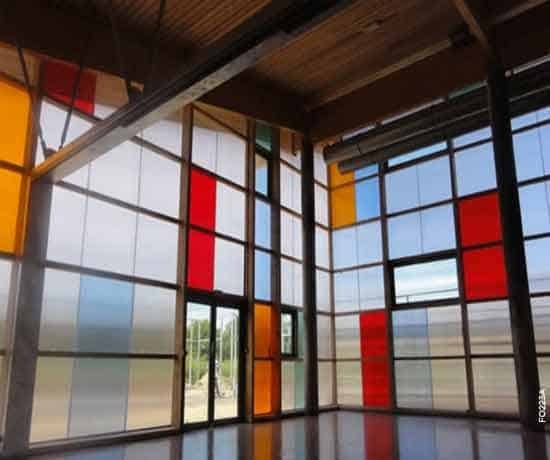 If you’re looking for a building product that’s efficient, economical, and pleasing to the eye, consider translucent facades and bring in the daylight. How can translucent facades improve further into the future? 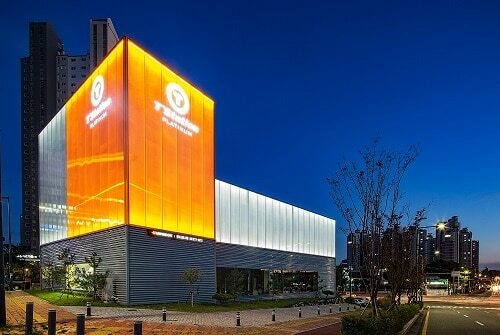 One of the biggest developments in the world of facades in recent years has been the sustained implementation of top quality translucent facade systems. 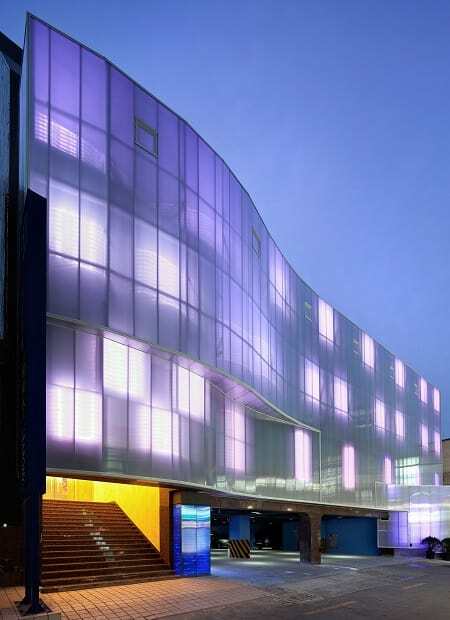 Translucent facades combine a number of great qualities to always leave you with a top quality end product. 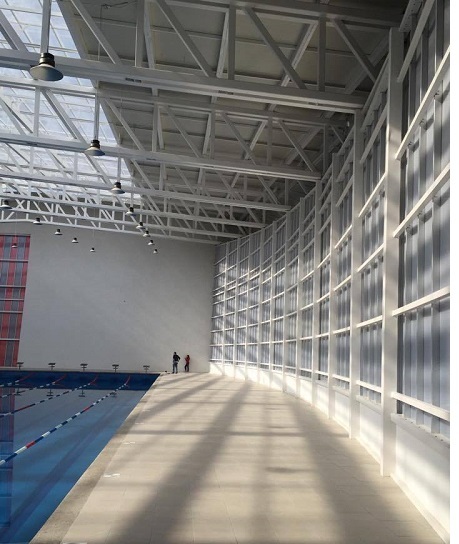 You have a lot of flexibility in design thanks to the flexibility of the polycarbonate that is used in the construction of them. The joints are concealed and the visual appearance is appealing. It is very durable against external stimuli like poor weather conditions and it is energy efficient thanks to special Microcell technology and structural design that has been implemented. However at Danpal we are always trying to push the boundaries and improve on existing products, as well as constantly innovating with new products. There is still room for growth when it comes to the translucent facades. Research is constantly being undertaken on ways in which even thinner panels can be achieved without compromising on any of the qualities that make this product so great. To get even more transparency, there needs to be no secondary supporting frames whatsoever. This leads to complex mathematics and calculations that have to be done to ensure that the integrity of the building is not compromised simply for aesthetic reasons. There is now an arms race when it comes to the energy efficiency of a structure. In the past, the carbon emissions and energy costs of a structure were not really thought about at all during the design process, but these days it is one of the first things on the agenda. Each designer, manufacturer of building materials and developers are trying to have an end structure that is as energy efficient as possible. While our translucent facade system at Danpal has great thermal regulation and insulation effects, there is more room for improvement. While we can cut energy costs when using our products, until energy cost reach zero, then there will always be room for improvement and innovation. 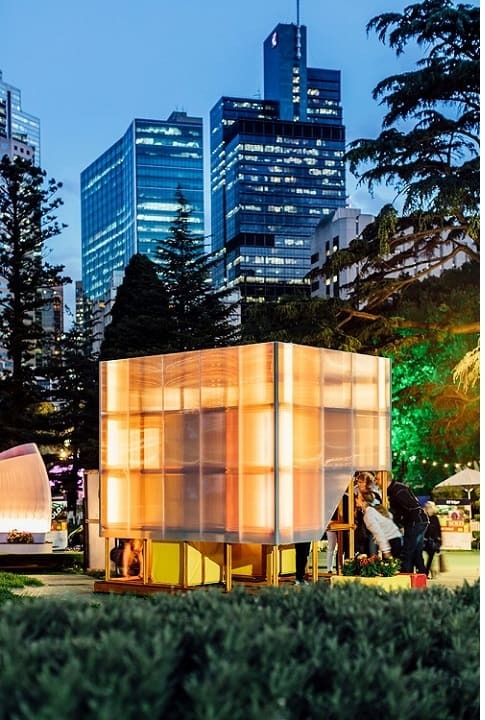 By experimenting with different materials, structural changes and designs, the energy efficiency of the translucent facades will continually get lower and lower. Another area that will be massive for translucent facades is the use of them for advertising. These surfaces will very likely be able to be programmed and changed in terms of imagery and advertisements are played on them externally by the owner of the structure. It is certainly an exciting time for the industry. In this day and age, architects and developers are becoming more and more concerned with the sort of green footprint they are leaving on the earth. Climate change has become a real issue to think about and factor into the decision making process when it comes to new structures. 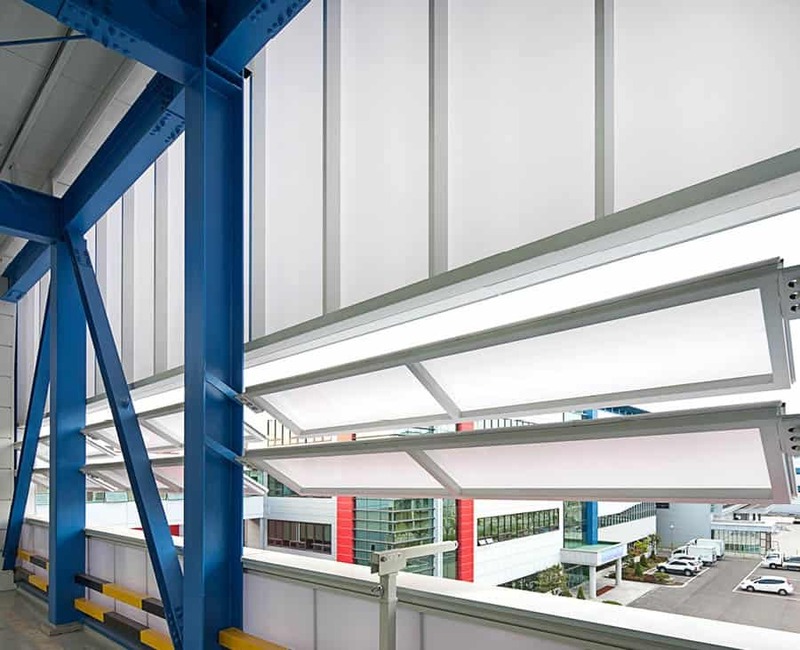 By enacting certain energy efficient protocols, buildings will also be able to save on energy costs in the long run thanks to more efficient insulation materials like the usage of translucent facade, as well as there being more mindfulness to the issues that affect every person. 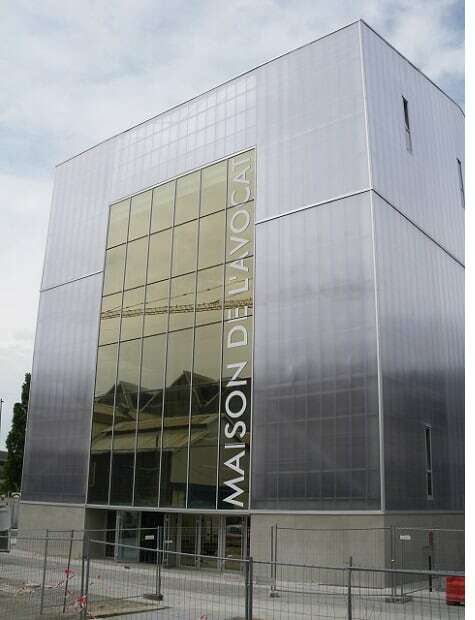 Over the past decade opaque solar facades have become hugely popular. These are translucent facades that reflect ad absorb incident solar radiation but will not directly transfer solar heat gain inside of the building. This means that the translucent facade will help to ensure that the building temperature is kept at optimal levels thanks to its superior insulation effect, while not baking alive those people inside of the building. It can be quiet a complex issue to think about, depending especially on what sort of climate you are living in. This is why there are many forms of research currently being carried out on the matter. 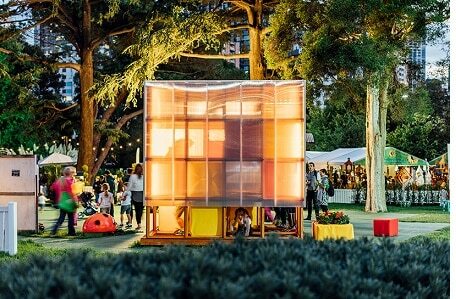 The translucent facade system that was developed by Danpal addresses a lot of the concerns that people have at the moment. 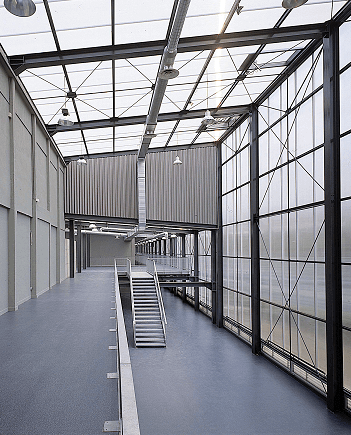 This system has superior light diffusion thanks to the glazing panels which ensure an even diffusion of light which is perfect for daytime applications. This is achieved by the tightly space ribs which doubles up as a great design feature aesthetically. 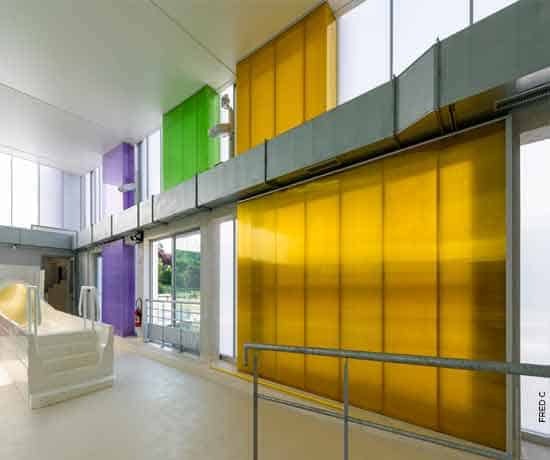 The high level of thermal insulation is achieved thanks to the unique cell structure found in the translucent facade, with great U and R values to prove this. 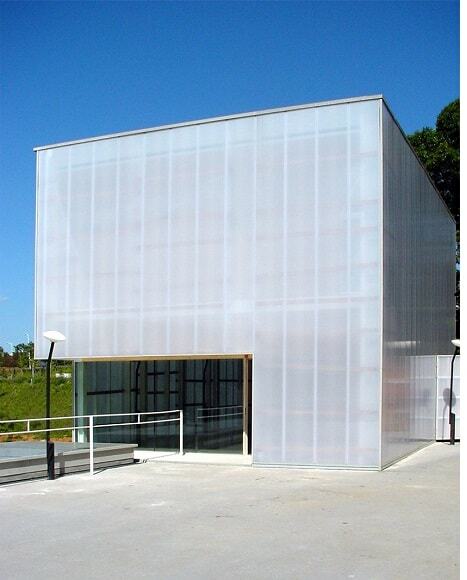 Learn More on Translucent Facade Here.